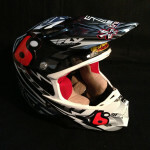 For the last few year’s, MX for Children has considered seeking out an industry spokesperson to help promote our cause. After some positive encouragement from Ellie Reed (@mrstwotwo) after Las Vegas last year, we asked Ellie if she would consider being our spokesperson and she agreed. She tweeted this pic here at A2 interviewing with our long time partner Denny Hartwig of Feld Motorsports for an upcoming testimonial video. Inaugural MX for Children spokesperson Ellie Reed interviews with Feld Motorsport’s Denny Hartwig. We are thrilled to have Ellie on board helping us encourage kids to fundraise for sick kids and to encourage the Supercross riders and industry help the cause. Stay tuned for more info about Ellie’s involvement. 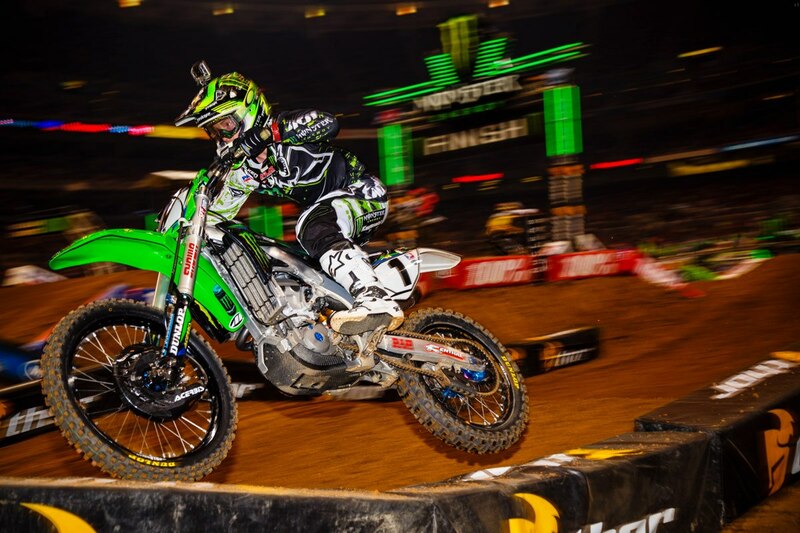 And congratulations to her husband Chad and the entire Discount Tire Racing / TwoTwo Motorsports team for their first win of the season last night in Anaheim! Good karma all the way around! MX for Children and Feld Motorsports announced the Supercross Dream Room Makeover — a new program being piloted in conjunction with Seattle Supercross — to put a smile on the face of a chronically ill child. MX for Children is taking nominations for kids that are fans of Supercross and suffer from a chronic illness to get a complete bedroom makeover themed in Monster Energy Supercross. We are also seeking volunteers with experience in painting, carpentry, electrical work and upholstery to help make the room makeover happen. 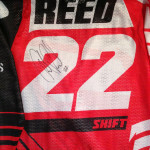 You can read the press release or visit our Supercross Dream Room Makeover page for more details. MX for Children is substantially re-working its Inside Line Experience and Jackpot Challenge fundraising incentives to enable broader participation and clarity of the rules for achieving awards. Jackpot Challenge participants can join one of their favorite Jackpot Challenge Teams. The Jackpot Challenge Teams are Supercross race teams that support the MX for Children cause by donating their time at MX for Children events. 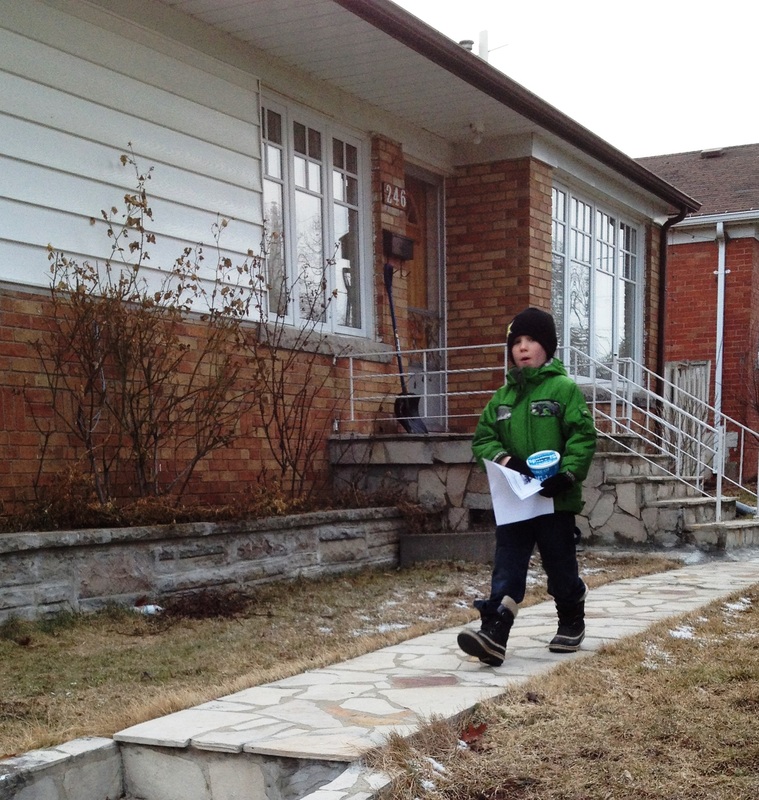 The funds raised by individual fundraisers are also credited to the team they select. 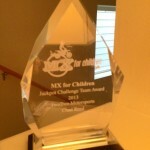 MX for Children awards the Jackpot Challenge Team award with the highest total fundraising for the season. 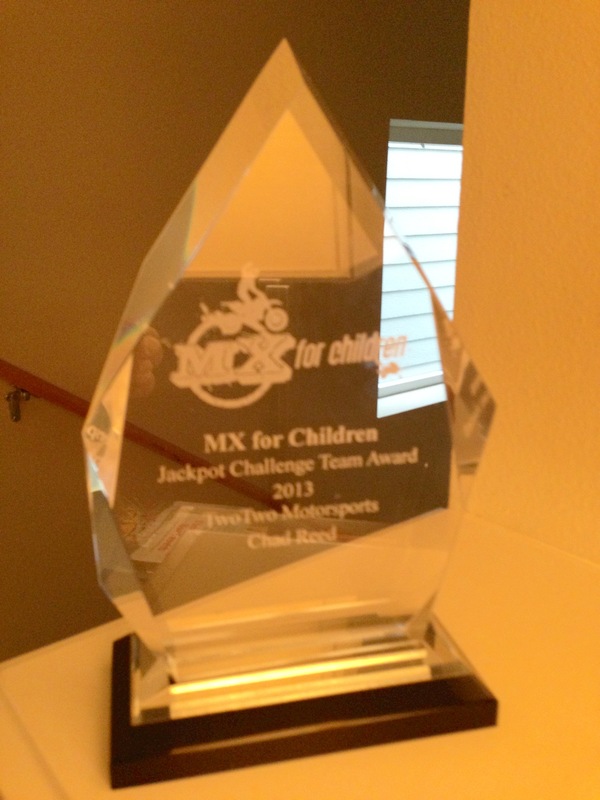 TwoTwo Motorsports one the Jackpot Challenge Team award in 2013. To sign up for the Jackpot Challenge, go to http://mxforchildren.kintera.org/2014. Please read the rules and regulations for the Inside Line Experience and Jackpot Challenge. 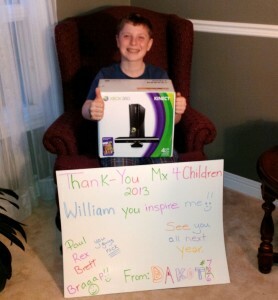 MX for Children was recently contacted with the sad story of loss of a young man from Oregon named Marcus Storm. He died in a tragic accident with his truck on September 4, 2013. 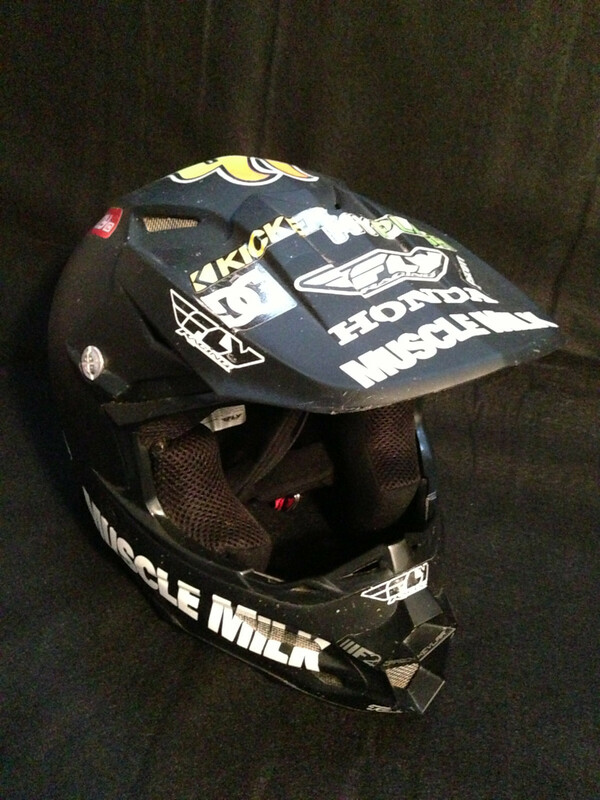 His girlfriend reached out to us because Marcus loved motocross and she found our charity and wanted donations made to our cause in his honor. 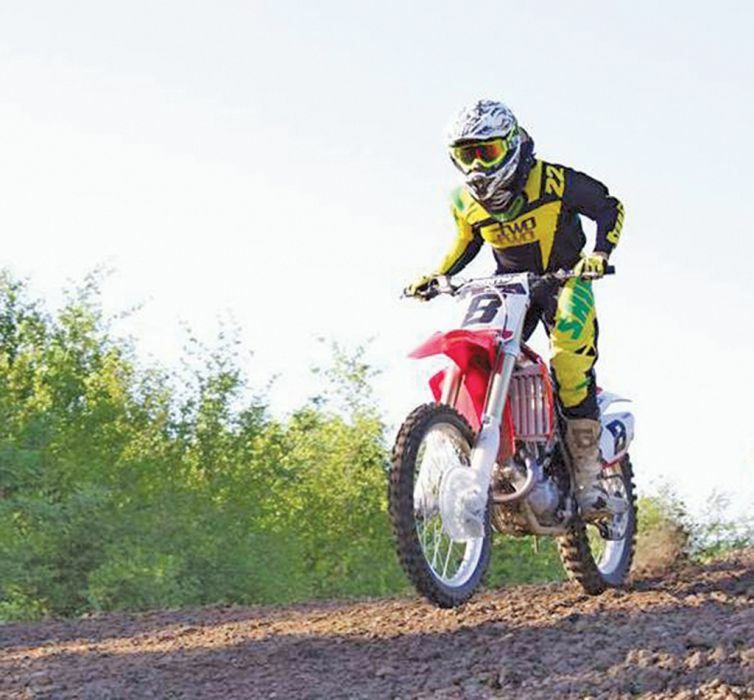 Several people have followed the family’s wishes so that Marcus would be remembered in conjunction with the sport that he loved. We offer the deepest condolences to the Storm family and friends at this time of loss. You can read his obituary in the Del Norte Triplicate. 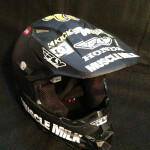 MX for Children is pleased to announce Helmets for Hydro and More!, our 4th auction benefiting hydrocephalus research at leading Children’s Hospitals including: Toronto’s SickKids, Seattle Children’s, Utah’s Primary Children’s, Children’s Hospital of Alabama, St. Louis Children’s, Pittsburgh Children’s and Houston’s Texas Children’s Hospital. The auction begins on Sept. 24 on eBay. 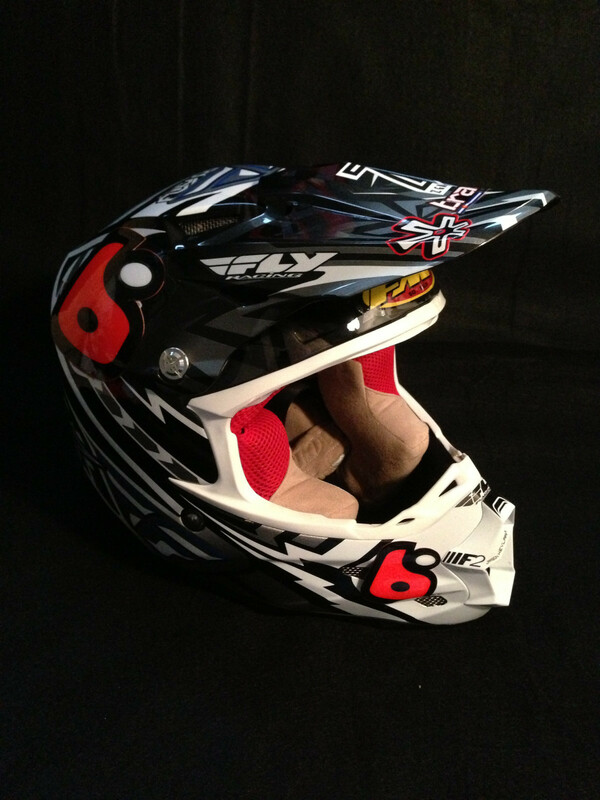 Supercross stars such as Chad Reed, Ashley Fiolek, Trey Canard, Kevin Windham, and PGA Golf Tour Professional Rickie Fowler have personally signed and donated helmets and other sporting memorabilia for this auction helping to continue to raise funds for hydrocephalus research — the #1 cause of brain surgery in children which affects one million people in the United States. 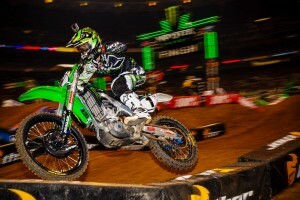 Team Monster Energy Kawasaki grabbed the podium in Daytona and in this week’s fundraising for the MX for Children Jackpot Challenge. Congratulations to RV on his win and thanks to all the people fundraising on behalf of Team Green. 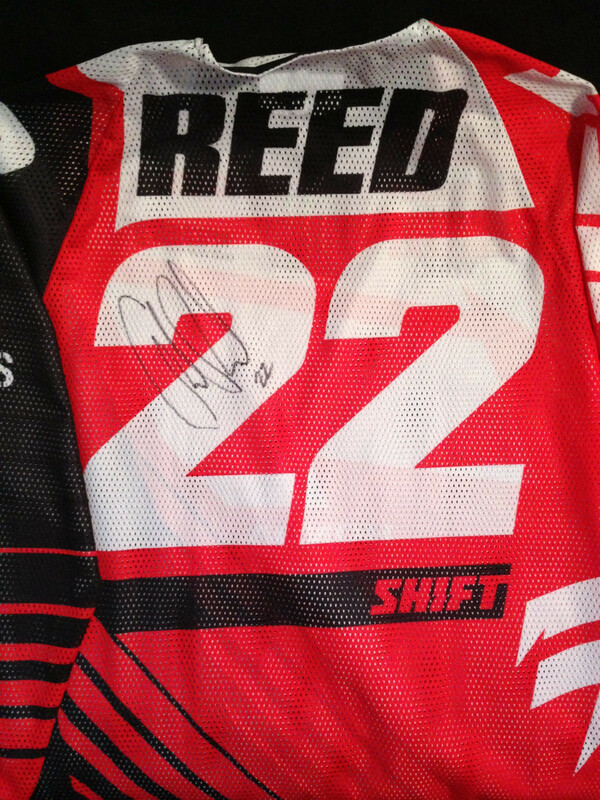 Chad Reed of Two Two Motorsports still holds the lead in the Jackpot Challenge having raised over $5000. 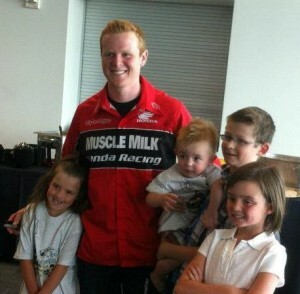 Like Chad’s hard charging finish in 5th, his crew of fundraisers continue to raise big dollars on Chad’s behalf. There are four more weeks of fundraising for the Jackpot Challenge and still opportunities to earn the Inside Line Experience in Toronto, Houston, Seattle and Salt Lake City. Thanks to Motorcycle Superstore who signed on to provide our 2nd place prize — a $500 gift certificate to Motorcycle Superstore!